An inevitable end of services is about to befall Beats Music, which will officially shut down operations on Nov. 30 after being acquired by Apple and seeing its music curation and playlist generation technology infused into Apple Music. The announcement was made on the Beats Music support webpage by customer experience manager Dale Bagwell, who notes subscriptions will be cancelled when the service terminates on Nov. 30. Current users are urged to transfer their profile, including picks and preferences, to Apple Music. "All the pros that curated music for you are still crafting more amazing experiences. Plus, on Apple Music, you'll get even better recommendations based on music you already listen to and love, 24/7 global radio with Beats 1, exciting material from your favorite artist, and more," Bagwell writes. The document offers a link to the Apple Music webpage where customers can take the streaming service for a three-month test drive if they haven't already done so. Apple purchased Beats last year for $3 billion, netting both the company's hardware and software units, as well as high-profile executives Jimmy Iovine, Dr. Dre and Trent Reznor. 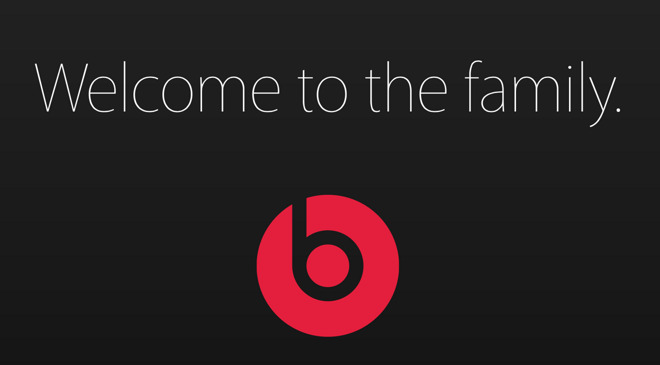 Curation and playlist generation technology from the Beats Music service, a minor player in the streaming music industry, was subsequently folded into Apple Music, while the Beats by Dre audio brand still lives on under Apple. Apple Music debuted alongside Beats 1 Radio in June as an iOS exclusive before being ported over to the fourth-generation Apple TV via tvOS. Most recently, Apple launched a beta version of its Apple Music Android app this week.